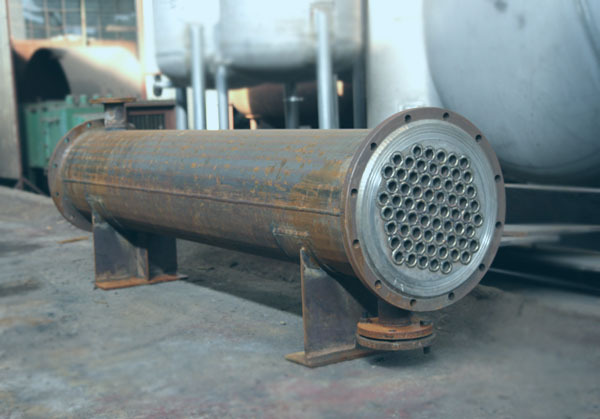 The tubular heat exchanger is currently the most widely used heat exchanger in alcohol and production. It is mainly composed of shell, tubesheet, heat exchange tube, head, baffle and so on. The required materials can be made of ordinary carbon steel, copper or stainless steel. Next, I will explain the temperature difference stress and connection requirements of tubular heat exchangers. 1. 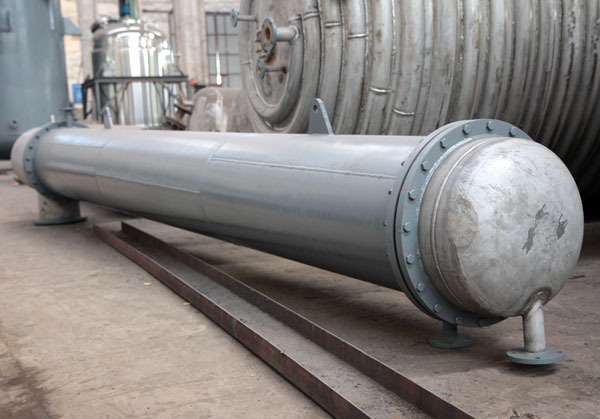 When heat transfer is carried out in tubular heat exchangers, one kind of fluid mainly enters from the connecting pipe of the head. The flow of the fluid in the tube will flow directly from the outlet pipe of the other end of the head. This is called the tube pass. Another kind of fluid enters from the nozzle of the shell and flows out from the other nozzle of the shell. This is called the shell-side tubular heat exchanger. 2. The structure is simple, compact and inexpensive. It is impossible to use mechanical cleaning outside the tube during operation. The tube bundles of this heat exchanger are connected to the tube sheet. The tube sheets are welded at both ends of the outer shell, and are connected with the top cover. The top cover and the shell are equipped with fluid inlet and outlet nozzles. 3. Generally, a series of baffles perpendicular to the tube bundle will be installed outside the tube. At the same time, the connection between the tube and the tube sheet and the shell is rigid. 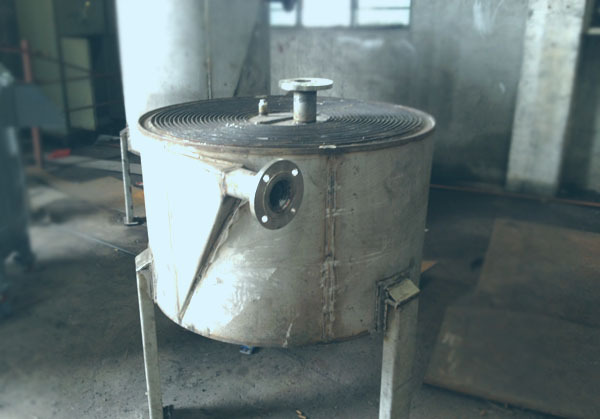 When the temperature difference between the tube wall and the shell wall is large, because of the different thermal expansion of the tube wall and the shell wall, a great temperature difference stress will be produced, so that the tube will be twisted or loosened from the tube sheet, or even destroyed. Heat exchanger. 3. 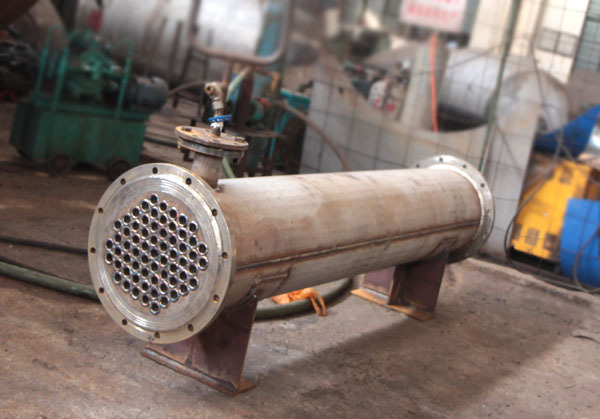 In order to overcome the temperature difference stress, the tubular heat exchanger must have a temperature difference compensation device in operation. Generally, when the temperature difference between the tube wall and the shell wall is more than 50 degrees, for safety, the heat exchanger should have a temperature difference compensation device. But the compensation device (expansion joint) can only be used when the temperature difference between the shell wall and the tube wall is less than 60-70 C and the fluid pressure on the shell side is not high. In general, when the shell side pressure exceeds 0.6 Mpa, other structures should be considered because the compensation ring is too thick to expand and lose the function of temperature compensation.